The benchmark for a good bean and cheese taco [or any taco] is the quality of the tortilla. To compete on the highest plane in Austin you have to make your tortillas from scratch. Pueblo Viejo uses store bought tortillas. Yes, there are hundreds of places around town that do the same, but for a brand new start up, a cart trying to make their place in the modern, hyper-competitive Mexican restaurant category in Austin, it might be prudent to make the extra effort and create hot, fresh tortillas from scratch. Walking up to the cart on a freezing morning with a brilliant Texas sun starting to peep over the horizon I’m starving and in need of sustenance to maintain life. I’m tempted to veer off assignment and get a meat based taco but I bully myself into staying on mission and ordering only bean and cheese. The lady affirms that my taco will be made with manteca but she looks worried when I inquire. Her troubled look is swept aside when I nod happily at the information. “I love lard” I announce. You can make a good pot of refried beans with only lard and salt as the seasonings. Yes, there are lots of other spices you might add to improve the flavor but salt and lard are the most essential. With the knowledge that my taco will feature lard I shuffle about in anticipation for a few minutes before my food arrives. Doubled up yellow corn tortillas encase a very healthy portion of good pinto beans and a bit of melted white cheese. It’s south of two dollars at a buck eighty nine and would be a decent value west of the highway. The beans have a nicely developed porky flavor. They could use a bit of salt but their texture is creamy. The tortillas are the yellow corn variety from El Milagro’s tortilla factory across the street. I ask for the hottest salsa they have which purportedly features Habanero. It’s a mild, tomato based salsa with little heat. 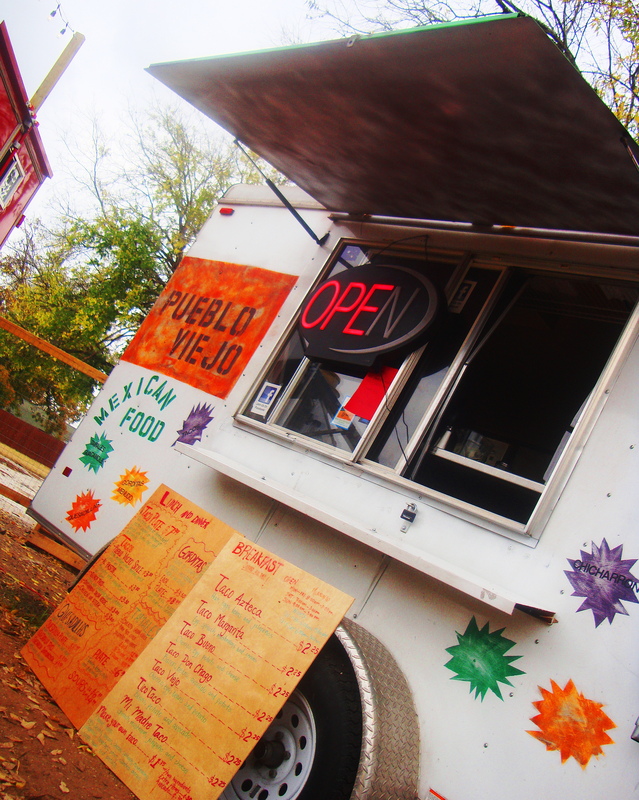 Pueblo Viejo provides an acceptable bean and cheese taco. Their inability to produce their own tortillas consigns them to the lower rungs of Austin’s taco ladder. E. 6th at San Marcos St.